17. 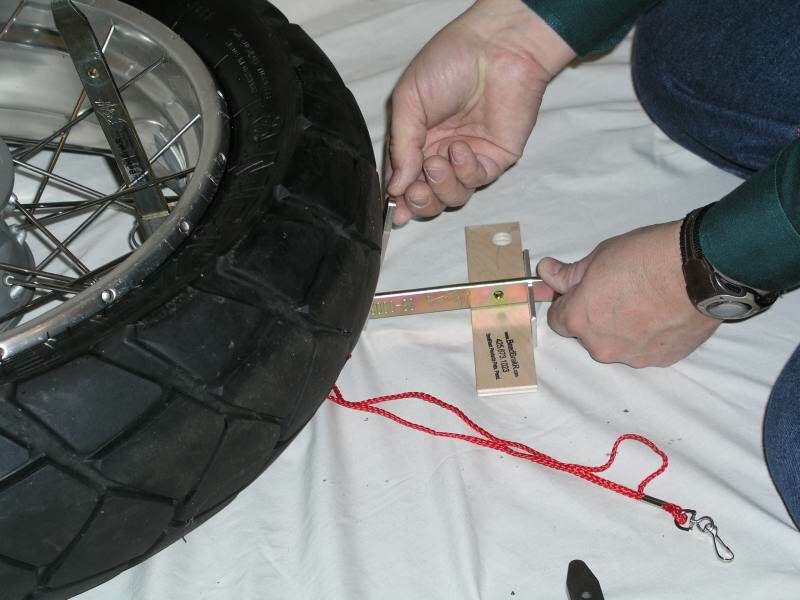 Pull the BeadBrakR toward you, so the vertical tire iron and plywood blocks are TIGHT against the inside of the rim. Then slide the Lock Bar TIGHT up against the tire. This prevents the device from moving in relation to the tire/wheel assembly.